We understand that modern farming techniques increase the production in any type of farming. That why we go out of our way to great lengths in order to ensure that we keep up with all the advanced and modern poultry farming techniques which we then pass on to the Kenyan poultry farmers. Most countries in the world almost entirely depend on agriculture and other farming related practices. A great section of the population is involved, in one way or the other, in agriculture. We mainly focus on the small scale to medium scale farmers and we also have a particular focus on youth and women groups in Kenya. We not only cover the area of raising poultry, ducks etc but we also touch some issues concerning dairy, fish, sheep and goat farming etc. Since we understand that many farmers in kenya practice mixed farming and this is always a great way of earning some extra income. Application of advanced poultry farming techniques will will ensure availability of food for the next generation and continuously growing population and at the same time raise the living standards of the poultry farmers since the practice increases the output and profitability of the farmers. We always try our best to show farmers some possible ways of earnings through poultry farming business. Different types of hybrid breeds of poultry birds are now available for maximizing the production. Many eligible and credible researchers throughout the world are continuously researching on the sector of livestock rearing and mostly on poultry farming and getting good results from their researches. The main problem is that their researches and results and not being documented and efficiently marketed. In most cases, the findings of these researches are confined to the journals and publications. It is from this reason that we found it very important to share the achievement of these researchers around the world to the masses people and especially to those people who may not always access the research publications and journals. Our training session are conduct in the most professional way as possible. We start from theory sessions which involve simple but very comprehensive lessons which equip the participants with the general scope of poultry farming, diseases and drugs, various breeds of poultry, where to find market for their products and much more. We then conduct practical sessions which involve taking the farmers either to our own farms or to other established farmers’ farms. The training dates and venues are communicated to farmers well in advance and all the requirements are stated well before hand. We always try to make the seminars as friendly and as interactive as possible since we understand that no one owns all the knowledge in world. We also want the farmers them selves to learn from each other especially from those who have been in farming for long time. It is therefore always our chief aim to make the poultry farming sessions as educative as possible. Make sure you attend the next training seminar and you shall surely witness your poultry farming venture rise to unbelievable levels. 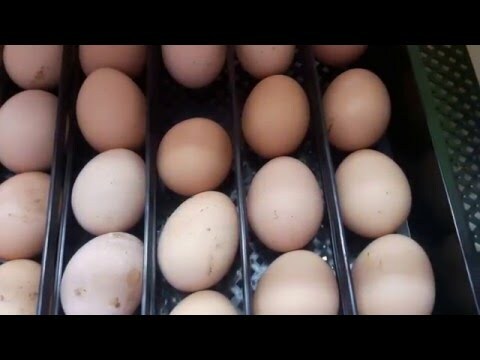 What are the basic requirements for one to start chicken rearing activity?especially using an incubator that u sells at 55k,which has 250 eggs space? Please send me the next date of your training. when is you next training date? Whn is the next training? This sounds good for me. When is your training dates requirements and where? am David from Turbo, Eldoret-Bungoma highway. When is your next training.